Somatic therapy facilitate resolution of trauma and PTSD responses. We can’t always think our way out of traumatic experiences. One of the biggest issues that we face as human beings is that we can feel trapped by our own physical and emotional states. These are the times that we feel panicky and anxious, without the ability to calm down. Other times we feel depressed and unmotivated and can’t seem to accomplish simple tasks. The brilliance of somatic interventions is the ability to directly intervene by developing new neural pathways and behaviours that provide alternative ways of responding to your environment without getting stuck in the habits of the past. The synthesis of somatic psychology and EMDR Therapy is an exciting advancement in mental health. As stand alone therapies these are now considered to be two of the best trauma treatment models available. Integrating these therapies enhances the effectiveness of both. Somatic Psychology engages body awareness as an intervention in psychotherapy. Somatic interventions address the connections between the brain, the mind, and behaviour. 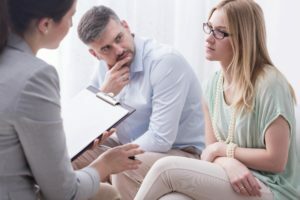 Therapists who emphasize “talk therapy” generally focus on the mind as influencing psychological health, however, the somatically oriented therapist uses knowledge of the basic functions of the nervous system to greatly enhance the therapeutic process. Grounding: This concept essentially sits at the heart of all body-based psychotherapy. Introduced by Alexander Lowen, developer of bioenergetics, grounding refers to our ability to experience ourselves as embodied. Grounding involves sensing the body, feeling your feet on the earth, and calming the nervous system. Cultivating Somatic Awareness: The somatic therapist promotes awareness of the body. We can then work with breath constrictions and tension patterns that are held just under our conscious awareness. Simply bringing awareness to physical sensations creates change. Deepening Awareness: Once we have become aware of sensations or a tension pattern we deepen the experience by gently amplifying the sensations. For example, we can focus our breath into the sensation, make a sound, or add movements. The key is to deepen at a pace that does not create overwhelm and honours your timing. Resourcing: When we help clients develop resources we focus on increasing a sense of choice and safety. Identify people, times, and places that facilitate a sense of safety, calm, or peace. How do you know when you feel peaceful or relaxed? How does your body feel? Titration: When we turn our attention to traumatic events our body-centered awareness helps us become conscious of our physical tension patterns. Titration refers to a process of experiencing small amounts of distress at a time with a goal to discharge the tension. Used in both Somatic Experiencing (Peter Levine) and Sensorimotor Psychotherapy (Pat Ogden and Kekuni Minton), titration is achieved by “pendulating” or oscillating attention between feeling the distress and feeling safe and calm. Sequencing: When somatic tension begins to discharge or release, we typically report the movement of emotion and sensations. Tension in the belly might move to chest and then becomes tightness in the throat and forehead. Sometimes we might visibly see hands or legs shake and tremble. The tension eventually releases–sometimes in the form of tears, an ability to breathe more freely, or possibly the feeling of lightness. Movement and Process: Somatic therapies tap into our innate healing capacity by inviting us to listen to the story as told by the body. Our postures, gestures, and use of space provide insight into our experience. For example, a client who has an impulse to crouch, cower, or hide is invited to mindfully engage in these defensive movements. After doing so, she may notice a new impulse to push her arms and kick her legs. As she intuitively re-engages these protective movements resolution may arise with a new found sense of calm in her body. Somatic Psychology has evolved over time from the cathartic approaches of Wilhelm Reich and Alexander Lowen who emphasized strong physical and emotional release. These early therapeutic modalities often involved very intense and even invasive approaches such as deep pressure massage, primal screams, and stressful positions held over time. While these therapies were effective in creating rapid change they often involved overwhelming experiences that resulted in re-traumatizing the client. As a result modern day somatic approaches incorporate mindfulness to facilitate somatic release in a safe, contained fashion. 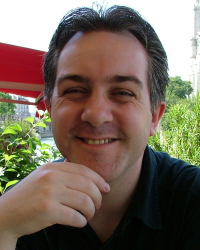 Nigel Magowan is an experienced Manchester based UKCP Registered and Accredited Psychotherapist who combines psychotherapy with EMDR, somatic therapy, Focusing, CBT, NLP and mindfulness when working with PTSD and trauma.